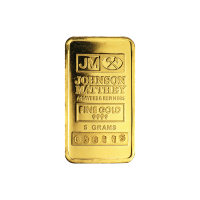 Obverse Get the best deal on this hard to find 9999 pure vintage JM 5 gram gold bar when you shop at our online store. 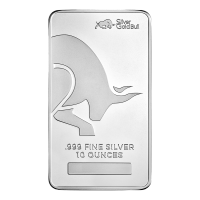 The bar you receive will be 9999 pure. Johnson Matthey gold is a highly sought after product often causing fast sell outs. 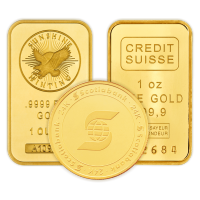 Get the best deal on this hard to find 9999 pure vintage JM 5 gram gold bar when you shop at our online store. The bar you receive will be 9999 pure. Johnson Matthey gold is a highly sought after product often causing fast sell outs.